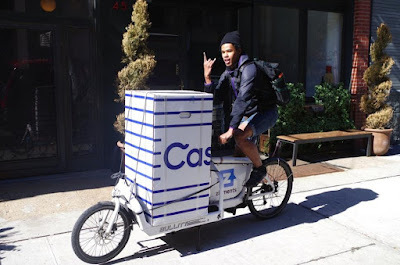 So you may be asking: what does a company delivering mattresses on bicycles in New York City have to do with PeapodLife and ecosystems? Quite a lot, as it turns out. But let’s back up a moment. 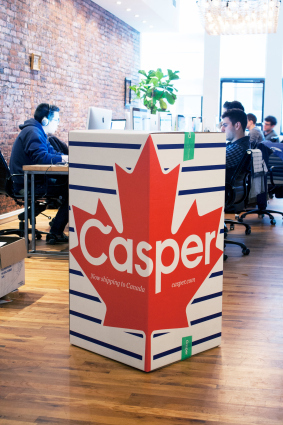 When the online mattress startup Casper began selling their mattresses for $500 US each, they decided on an innovative value proposition. Using a two-ton compressor, the company stuffs their foam mattresses into a box roughly 3 feet high (104 centimetres by 53 cm by 50 cm). 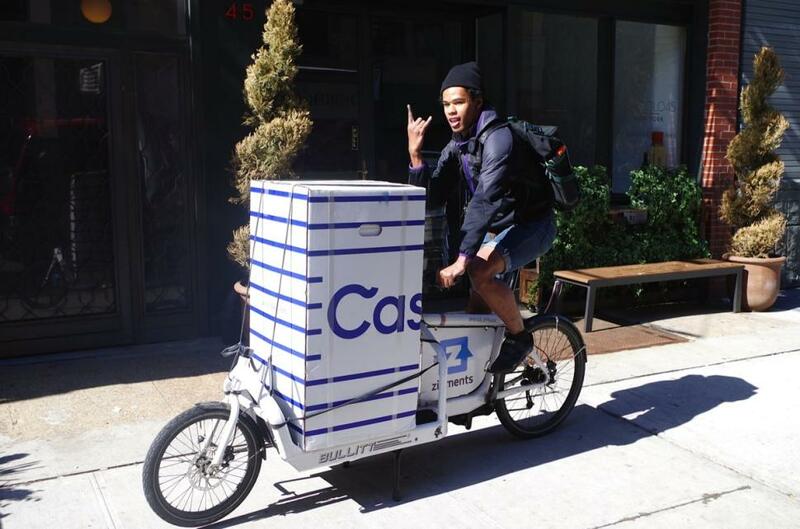 That means if you live in New York City, your mattress comes delivered via bicycle; outside of NYC, regular delivery. Now, for anyone living in a condominium, small apartment, and especially a walk-up or walk-down apartment, dealing with a bar-sized fridge box can be much easier than with a queen-sized mattress. Now you might think buying a mattress before trying it is a silly proposition. The company offers a 100-day in-home trial period. 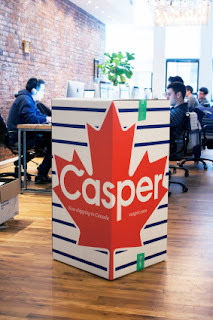 As for price, at $650 CDN for a twin and $1000+ CND for a king, Casper’s products are roughly a third less to half competitor’s mattresses made with comparable materials. If there’s a takeaway from this story it’s this: even entrenched and stayed industries like mattresses (just think back to decades of people buying their spring mattress at Sears) can be dragged kicking and screaming into the 21st Century by disruptive technologies and innovative new approaches. PeapodLife’s mission is to disrupt the status quo of housing and building, and bring innovation to an industry that is literally thousands of years old. And despite what they’ll tell you, honestly very little has changed. Delivery via bicycle certainly smacks of environmental consciousness. But there seems to be a lot of packaging that goes into one of these super-compressed deliveries. When you think about it, if you buy a regular mattress, that too comes wrapped in plastic; in fact, with the mattress compressed, Casper may even use less packaging than a regularly delivered mattress. But frankly, we just don’t know and haven’t done the hands-on research to find out. PeapodLife, on the other hand, begins from a foundation of true sustainability—ecosystems. We can’t promise we’ll deliver your ecosystem on a bicycle, nor will we promise an exciting unboxing video (at least, not yet); but we will promise that once your high order rainforest ecosystem is installed and filling your space with good vibes and the fresh, clean air of nature, you’ll not only sleep better than you could have ever imagined, your waking hours will be that much better, too. Today we are offering some short films on hirarchy and self organization, for the sake of discussion. The film proceeds with a mind-numbing intellectual elaboration on this grossly reductive view of nature: that organisms have needs which they take from the environment. This is an anthropomorphized view of nature! One cannot say “understanding natural systems is the way” and then anthropormize those systems, then say you are learning from nature! Anyway, we are not going to make you watch all six parts of this series. Why? Because it’s an absolutely futile and useless waste of time; a mind-numbing intellectual exercise trying to solve a problem that was created by the very thinking that is being used to try and solve it. 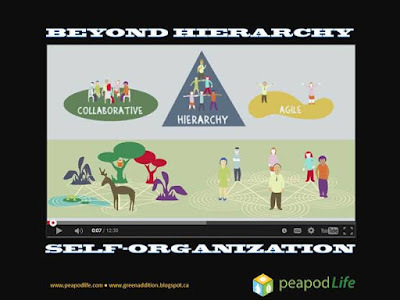 Self-organization is not the antithesis of hierarchy. Hierarchies are everywhere in nature! Hierarchies self-organize all the time. Even in human group dynamics, hierarchies can form organically, whether or not the individuals involved are cognizant of these formations or not. Intellectualization and defining this structure versus that structure is so limiting, so reductive, so unlike anything which happens in nature—and this series of films likes to use the word “reality” and “complexity” a lot—that it is not going to answer the questions being asked and the problems being raised by this series of films. For starters, how about comprehending what self-organization actually is, and how it works? No, not intellectually, not theoretically, but PRACTICALLY. How do you do that? By becoming a part of a self-organizing entity. Now, since we are grossly unconscious of the self-organizing phenomena occurring in our own bodies, our only other recourse is to become conscious of self-organizing phenomena around us. Start with getting an ecosystem. Whether you realize it or not, when you are in an ecosystem’s field of influence, you are actually part of that ecosystem. As it self-organizes, so you are being self-organized. As it seeks balance, so you are being balanced. As it assumes a posture of harmony and mutual symbiosis, so you are being harmonized and receiving the benefit of that symbiosis. And how do you respond? As you imagine you might; unless you are cold-hearted, closed-minded, oblivious and uncaring, in which case no system of self-organization will connect consciously with you. An ecosystem will still try to “get through to you,” but even in nature, cancers and toxins exist. So, too, corrosive people and toxic attitudes can sabotage the best intentions of any effort at self-organization. The point is, self-organization is intuitive. It is energetic, extra-sensory, and organic. Self-organization is not materialistic, and anything but intellectual! Trying to theorize your way through models of self-organization is like trying to understand infinite complexity. You can’t. No one can. The mind cannot grasp it. Nature doesn’t function that way. 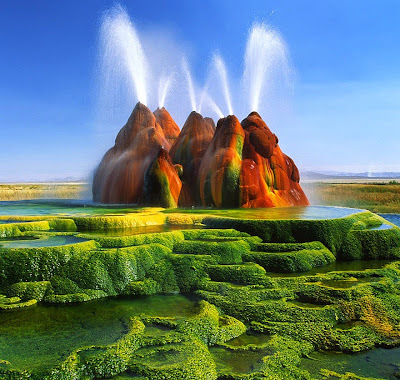 Nature senses, feels, intuits, and interprets flows of energy and influence. The physical reality we see is just the coarse veneer to what’s really going on. If you really pay attention to group dynamics and human interactions, you will see that it’s very much the same for people. We can feel good vibes and bad vibes in the workplace; and individual dynamics functioning on a base level independent of perceived or established social structures can be explosive. Attempting to self-organize without the presence of an ecosystem is a recipe for disaster because the natural tensions which arise in the self-organizing process are effected by the immediate environment. In most organizational environments, lots of harsh, negative energy is bombarding participants—from fluorescent lights to computer screens to toxic off-gassing from industrial building materials and carpeting to VOC’s, noise pollution, the list goes on and on. An ecosystem provides the prerequisite for successful self-organization: harmony and mutual symbiosis; such that even self-organizing hierarchies, which in nature often require violent confrontation, are quickly calmed-down and dissipate once the selection process is complete. In the human context, disagreements and conflicts will arise. But an ecosystem is able to “take the edge off”. Again, here we see how the best of intentions related to self-organization are hamstrung without the power of an ecosystem. Ecosystems are not the only way nature self-organizes; but they are the most powerful expression of the underlying process of self-organization which we can interact with in an everyday sort of way. In other words, the earth is a self-organizing biosphere, but is far too vast for us to interact with as biological creatures in totality…we are mere specks compared to it. No, ecosystems are the natural, biological phenomena which we can best relate to and be a part of. It is precisely the oneness we can experience with ecosystems which can inform our relationships, groups dynamics, organizational behaviour and evolving organizational structure; as we attune ourselves intuitively to our inner ecosystem, and thus expand our sensitivity from an organizational perspective to the outer ecosystems of community, economy, business environment, etc. The intellect cannot, will not, and should not attempt to understand infinite complexity. It’s not its job. It was never designed for that task. The consciousness is another matter entirely. It can, should and with patience and discipline will comprehend the nature of infinite complexity. But only through direct experience, and only with little baby steps. Self-organization is the product of countless billions of organisms playing out conscious interrelationships defined by harmony and symbiosis. Even if sacrifice and death appear on a regular basis, these too are a part of that self-organizing process of renewal, evolution and devolution. Unfortunately the mind doesn’t like dealing with sacrifice, death, conflict and other “messy” aspects of self-organization. It wants everything to be sanitized and controlled…like a Swiss watch or an iPod. But watches and machines are designed. They do not; cannot self-organize. To be comfortable in your own skin, to be comfortable in an ecosystem, to be one with the “messiness” of self-organization and evolution, going with the flow of events and not trying to control the process all the time…these are the keys to organic growth and evolving a self-organizing entity of harmony and mutual symbiosis. Having an ecosystem on site can make all the difference. Which serves a CEO’s Needs? 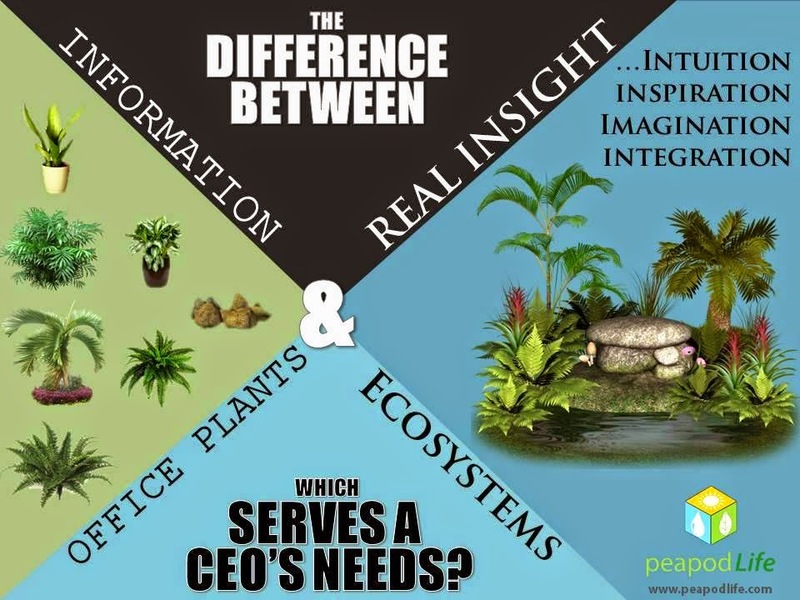 Infographic from PeapodLife: Information & Insight, which Serves a CEO’s Needs? 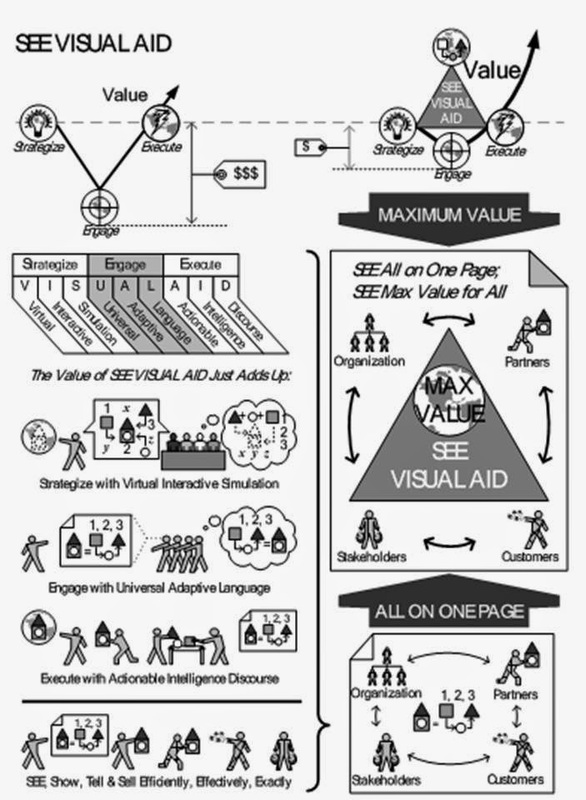 Source: The Attlas Project, Vol. One – SEE The World in a New Light. 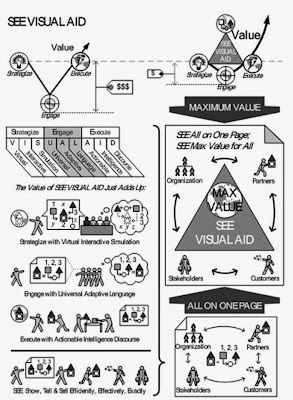 Unfortunately, SEE VISUAL AID is a term which never caught on, and so we’re stuck using the term infographic as popularly used. We recently came across an article on LinkedIn Pulse entitled How CEOs And CMOs Can Tell The Difference Between Information And Insights by Tony Zambito, Founder and Leading Authority on Buyer Personas. Zambito goes onto explain some of the pitfalls of predetermination, that is, deciding ahead of time what insight you’re looking for and thus falling into the trap of accumulating information and not the seeds for authentic insight—which often arises from the unseen, unheard, unspoken needs of customers. Intuition, inspiration, imagination and integration of information which results in actionable intelligence; in a word, revelation. It follows that revelations are what lead to revolutions. Before any leader can revolutionize how their company operates, that revolution must first reveal itself to them. Likewise, before a company can revolutionize an industry, the object of the revolution (say, the iPad), must “come to them” (Steve Jobs). 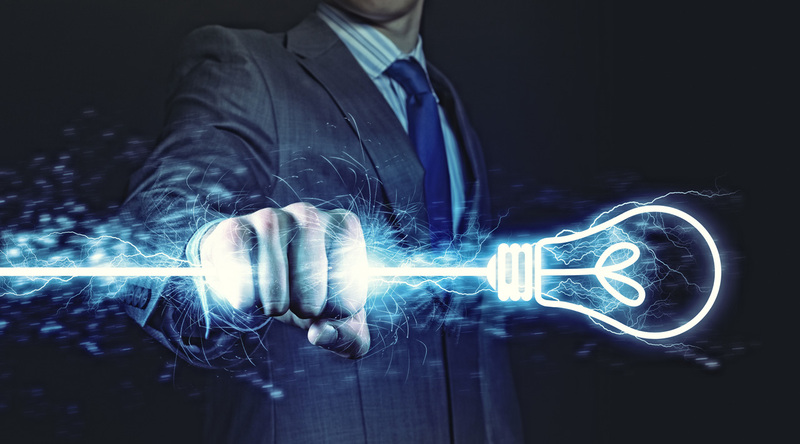 How can CEO's Grab Hold of More / Deeper Insights? 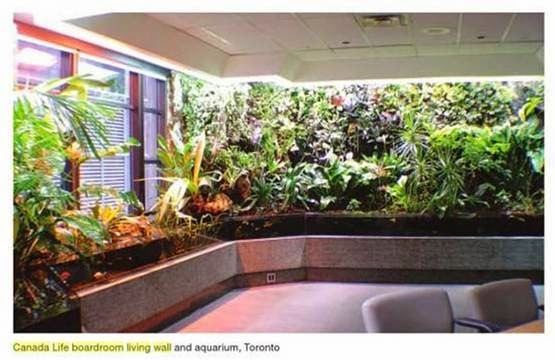 Let’s return to the question of information; and let’s say that the plants in your office (or that so-called ‘living wall’ consisting of plants stuck into a vertical framework of some kind) represent information. 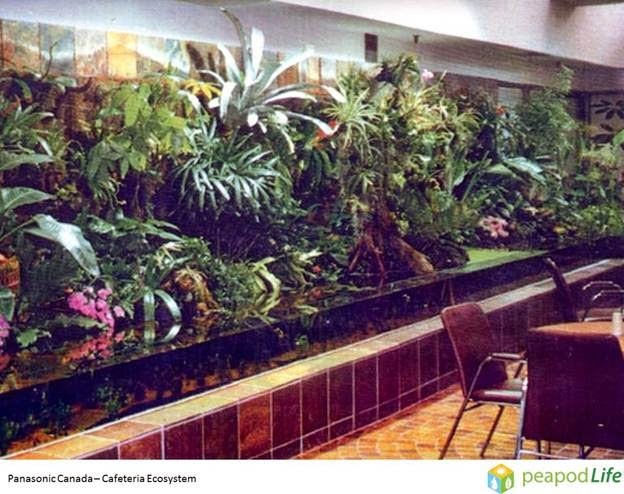 There they are: individual plants arranged in a space. No connection to each other. No ability to collaborate. No chance of symbiosis. They may as well be prisoners in their cells. But what if those plants were arranged a different way? What if instead of being treated as isolated individual plants, they were treated as a part of something much greater than themselves? What if they were part of an ecosystem? Now those plants would be able to develop mutually advantageous relationships with each other, along with the animals in the ecosystem. 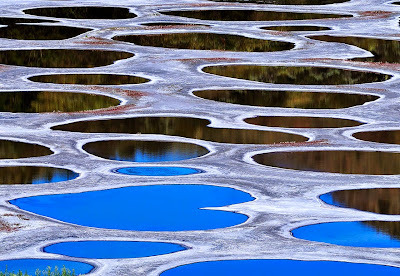 Individual isolationism gives way to interconnectedness, harmony and mutual symbiosis—a kind of integration which relies on an infinite matrix of interrelationships. The result is a super organism. An ecosystem is orders of magnitude more powerful and influential in an office space than individual office plants—a super organism reflecting nature in its highest expression, and able to directly contribute to underlying conditions which favour insight in human beings. From Newton’s theory of gravity to Beethoven’s fifth symphony to Einstein’s theory of Relativity, the power of nature to provide inspiration and insight to some of humanity’s greatest accomplishments is unquestionable and undeniable. Insights form in the subconscious mind and reveal themselves to us in time as the infinitely complex interrelationships between individual elements of said insight (information) is compiled and presented as unified, comprehensive whole. The conscious mind is incapable of this compilation. 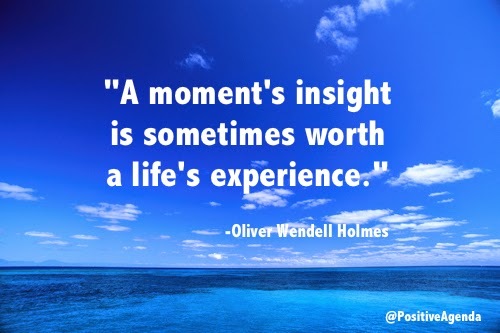 It can only receive insights which are revealed to it from the subconscious. In other words, exactly as the office plants rearranged in an ecosystem produces the super organism which is so much more potent—infinitely more valuable to the office—so the subconscious mind rearranges information into the revelation which is infinitely more valuable to the CEO. 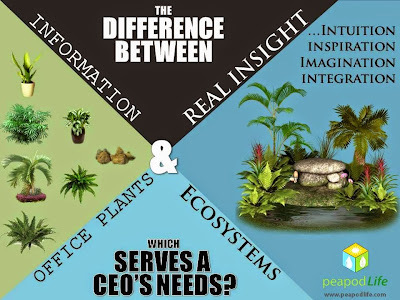 So, if office plants are like information and only serve the conscious mind, wouldn’t CEO’s be better off with ecosystems which are able to form and resolve infinitely complex interrelationships in real-time and serve the formation and revelation of insights? 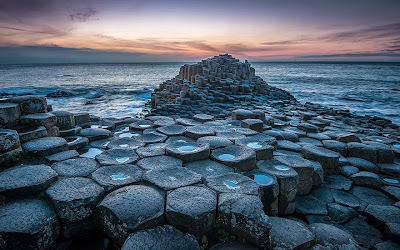 Even on a superficial level, biomimicry has become a hallmark in everything from engineering to architecture to design. Why not your business? There are other ways for the CEO to gain deeper insight. These include relaxation, mindfulness practice, meditation, sensory deprivation and other forms of nature therapy, all of which serve to expand the scope of free consciousness and awareness of the subconscious mind. These practices are all good, but let’s be honest: they take a lot of energy and effort, and often take a back seat to the ‘practical business realities’ of the given moment—in other words, the stressed conscious mind which must deal with the problems it’s facing. The beauty of an indoor ecosystem from PeapodLife is the fact that it’s always there, always working, even if you’re unaware of it or not. It takes no additional effort on the part of a CEO or their employees to gain the insight-yielding benefits of an ecosystem. It makes your environment more conducive to revelation; and we are products of our environment. In other words, an ecosystem serves the needs of a CEO. How much would novels gain by the exchange! How differently the world would men behold! How oft would vice and virtue places change! 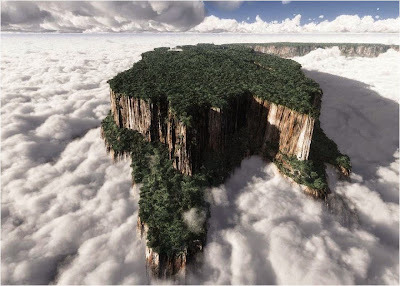 Would show mankind their souls' antipodes. Today, something a little different. We came across a dynamic list of the 30+ unbelievable places that look like they’re from another planet and decided to share some our favourites. 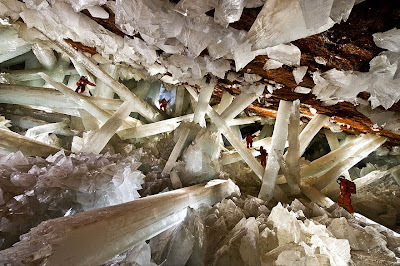 Some of these photos look down-right alien, but make no mistake: they are for the most part untouched photos of actual places right here on our planet. So what’s the point of sharing these photos? 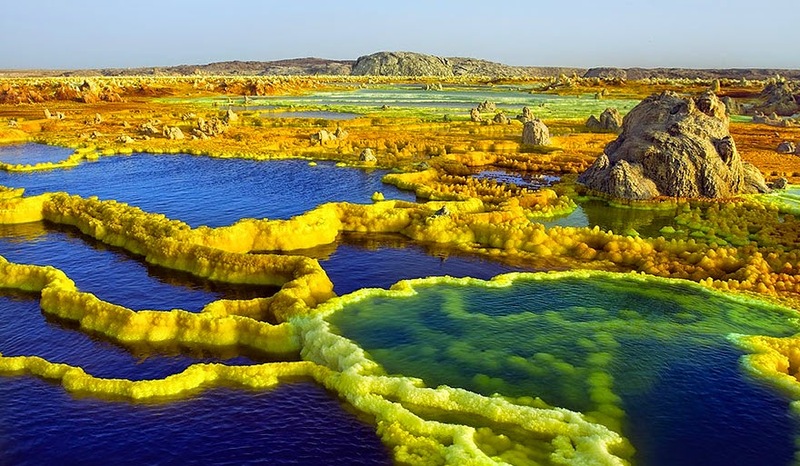 Well for starters, it is important for us to realize that even these seemingly bizarre and other-worldly locales are both host to an ecosystem and themselves part of a larger ecosystem—in fact, the biosphere of the entire planet. 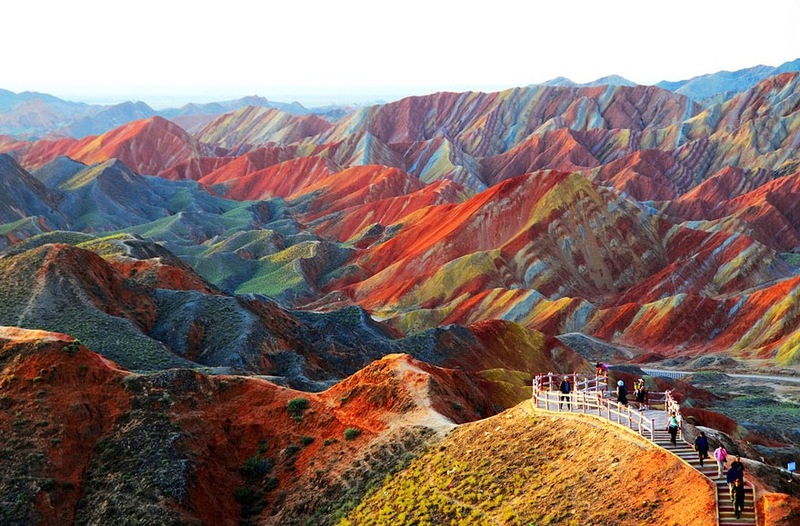 It just goes to show how diverse ecosystems be and how extreme lengths nature has to go to in order to exist. 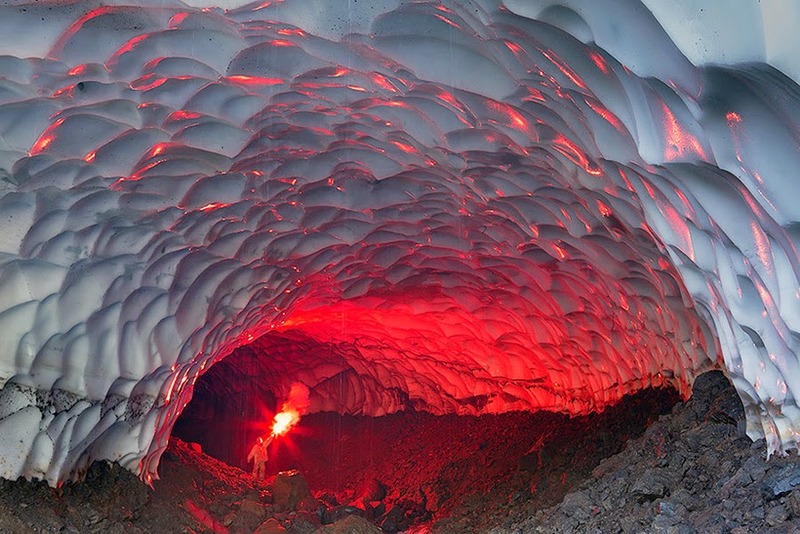 There is no question these photos also ignite the imagination. If any of these locales seem familiar to you, it’s likely because they have inspired settings in popular fantasy and science fiction films and television programs. There is also an unquestionable beauty to these locales. Inhospitable as some may be to us, they are nonetheless compelling in their strangeness, wholly encaptivating…and not just visually. 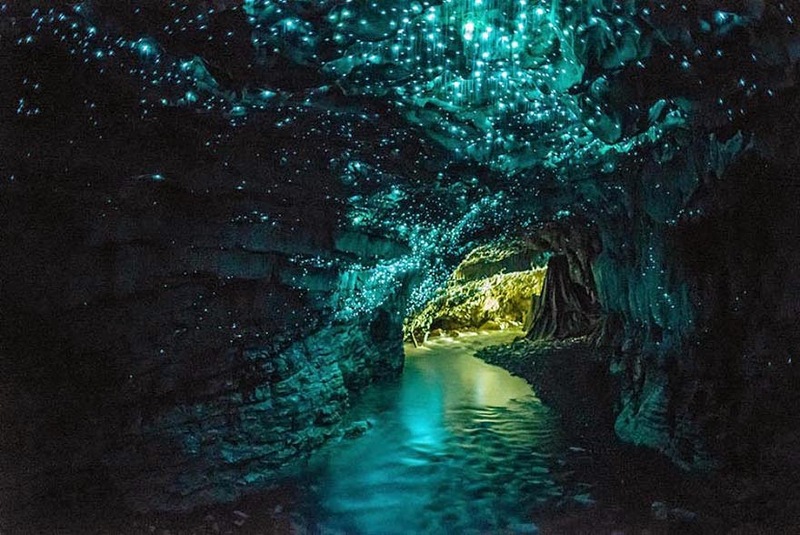 It is with absolute certainty that we can state as amazing as these photos may be, they do not, cannot hold a candle to actually being there and experiencing such expressions of nature in person. 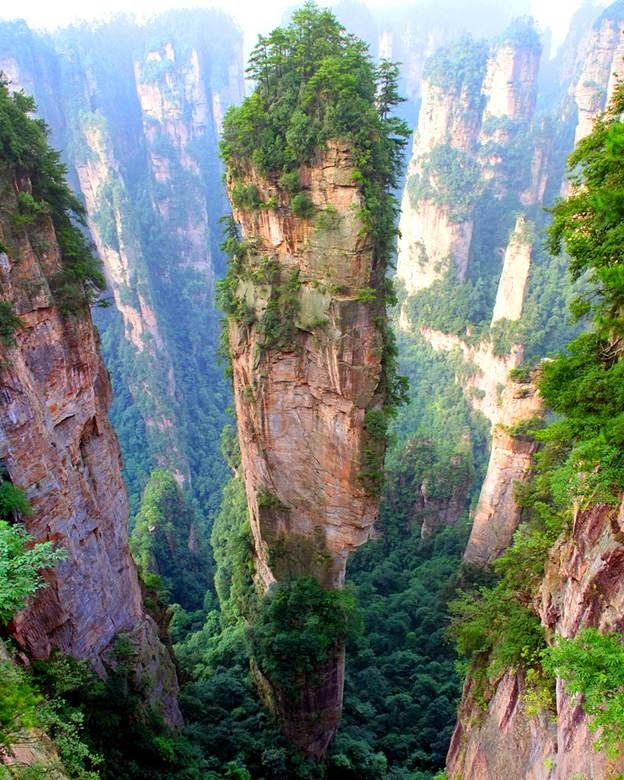 No doubt the growing popularity of eco-tourism is one of the reasons these photographs even exist. 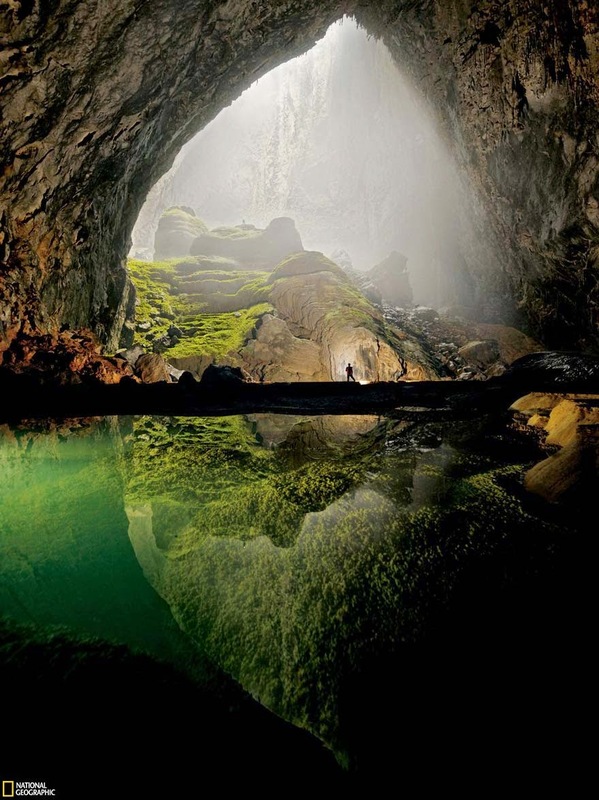 Human beings are explorers by nature. It’s not only that we crave novelty; we long for knowledge…and not just the knowledge we get from reading books or watching documentaries. We long for experiential knowledge. There is nothing like having being there, done that no matter where “there” may be, and no matter what “that” was. 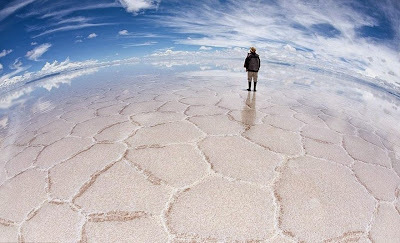 The question is, can we experience a taste of that exploration and discovery in our everyday lives without having to spend all the time, money and effort to take a trip to a far off land? Is there a way to experience the excitement, wonder and beauty of new discovery in our home, workplace, school, wherever we live, work or play? Consider this: no matter how spectacular a location may be, you get to experience it for a few days—possibly weeks. Unless you are very lucky and supremely committed, you will very rarely ever get to experience the changing face of such locations over time. After all, nature is not static. Nature grows, changes, adapts. A snapshot in time will only ever be just that…a memory. Put another way, eco-tourism and travelling to the ends of the earth to witness the oddities and extraordinary wonders of the natural world will not result in a deep relationship between you and those places. They may result in vivid memories in your mind, and perhaps a pining in your heart to return someday, but you will not have a deep comprehension of the rhythms of those places, the ongoing harmonic effects of being there throughout the seasons, nor the wonder of watching these incredible expressions of nature adapt, evolve, grow and/or even die. But with an ecosystem from PeapodLife, you CAN. 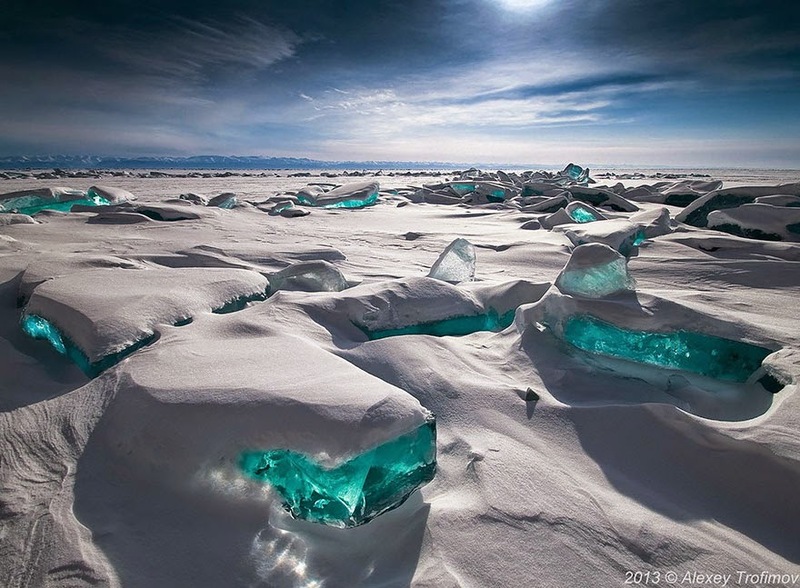 And although we can’t promise you a landscape like that in these photos, we can promise there is ALWAYS something new and exciting in our ecosystems. Whether it’s an orchid blooming, moss growing, plants advancing, others receding, fish bearing young, snails multiplying, you get to watch your own “interior landscape” grow and evolve and both respond to your moods and improving your moods. We hesitate to say life with an ecosystem is more similar to having a pet than a garden, but many who live with an ecosystem describe it that way. The truth really is stranger than fiction. 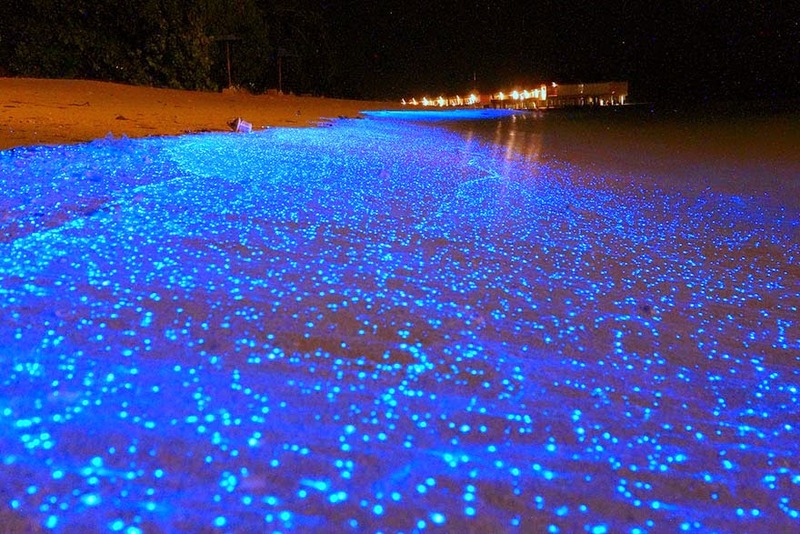 When you really think about it, that means the promise of nature is not to bring biology into your life but magic. It’s just another aspect of Advanced Human Habitat for you to EXPLORE. Is your I.T. Workplace just a Man-Cave for Frat Boys? We know we’re sticking our neck out on this, especially leading with an image of Google’s offices, which—let’s face it—are a bit of a Shangri-la of high-tech office work environments, but it’s an issue which needs to be raised. According to Larry Page’s Google+ feed, the topic of women in tech is an issue “dear to [his] heart.” Source: https://plus.google.com/+LarryPage/posts . As so it should be, according to Negotiation Consultant Victoria Pynchon, who points out the addition of three women to the board of directors “immediately and significantly increases bottom line performance.” Source: https://www.linkedin.com/pulse/20141012181202-11435719-the-1-way-to-get-more-women-in-tech-and-stem. And that 80% of purchase decisions are made by women, making for a striking marketing case. “That's a fact. Numerous studies show that teams with gender and race diversity get better results. A Lehman Brothers survey of 100 teams found that "gender balanced" teams were most likely to experiment, be creative, share knowledge and fulfill tasks, while a 2009 paper by Institut National de la Statistique et des Etudes Economiques found that technical work teams with women were better at staying on schedule and had lower project costs. Yet according to the same CNET article, a survey by executive recruitment firm Korn Ferry reported women held only 14.3 percent of board seats at the 100 top tech companies in June of 2013. Ten percent of those boards had no women on their boards whatsoever at year’s end 2014. According to University of Wisconsin-Madison research, only 14 percent of engineers were women in 2012, and almost 40 percent of women with engineering degrees never enter the field or quit after a short time in it. Victoria Pynchon believes the main issue is lack of available child care. In an industry legendary for providing “perks” to attract and retain millennial talent—everything from in house basketball and beach volleyball courts, grocery and car shopping services, even a ticket-buying service and, of all things, doggy daycare—childcare is still a rarity. "I had this fantasy that the young men growing up [after me] had more realistic views of their college friends and they would treat them better," Bartz says, shaking her head. "But they're just frat boys...I couldn't be more disappointed." Look, we get it: the hi-tech industry has to attract and retain young talent. But in the retention of said talent, companies need to recognize that young people grow up and have a maturing list of priorities—especially women who get married and have children. The tech industry itself is no longer run by hippies—though they may have been the pioneers at Atari and Apple. They no longer cater only to “nerds”—The Big Bang Theory notwithstanding—they also no longer cater only to males. The video game industry is beginning to come to terms with this, toning down overtly sexist content. So when tech companies design their work spaces, and the much-lauded “perks” they use to entice and retain 20-something talent, do they make assumptions about who they are attracting? Are the executives and managers making these decisions men? Are they themselves living out some kind of fantasy of “the ultimate man-cave” at work? We think probably yes. Sure, there are many women who will find much of what’s on offer “cool” but there’s a difference between cool and practical, meaningful, useful, helpful. There’s also a big difference between cool and pleasant, refreshing, relaxing, inspiring, beautiful. 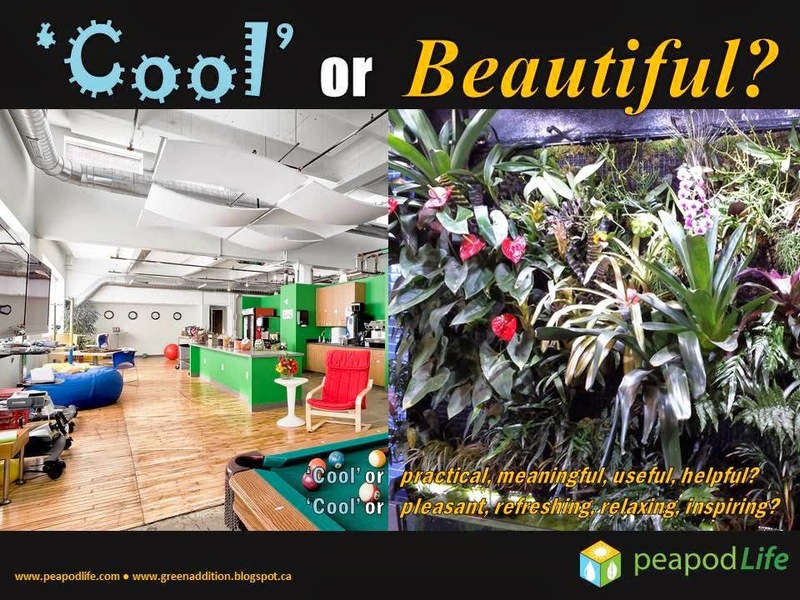 Image by PeapodLife: Cool or Beautiful? Not everyone equates an adult-kindergarten environment or frat-boy fantasy man-cave to inspiring. Just because someone is an engineer and interested in working with technology doesn’t make them automatically interested in an environment best suited to cyborgs and adolescents. And to be clear: there isn’t anything wrong with ‘cool.’ It’s just that ‘cool’ has very little staying power. What’s cool today is very rarely still cool after some time. What we’re advocating for is a little substance injected into the midst of all that cool…and let’s face it, an indoor rainforest ecosystem has plenty of its own cool and “wow!” to go around. It’s just that it also has something that no amount of digital technology alone can match…it has life. The leaders of many hi-tech companies aren’t even engineers; or men; or in their twenties. The opportunity to redefine the tech workplace as a space of innovation and inspiration which speaks to everyone in an equal way—including management—begins at the top. It doesn’t need to be a case of pandering to frat-boy mentality; it can be something far more beautiful and meaningful; practical and inspirational. Male or female, young or old, engineer or artist, we are all human beings. Our biological and energetic nature means our reliance on the basics of life, health and wellness is absolute. Especially for those who spend the majority of their time indoors in front a computer screen, the opportunity to bring the refreshing and rejuvenating effects of nature back into their life in a beautiful and meaningful way should not be overlooked. Of all the perks and clever design decisions that go into the typical tech workspace, there is one which represents a more mature appreciation for what all individuals—young and old—need and crave. PeapodLife Ecosystems deliver. Let’s start with the following short film entitled ‘How We Live – A Journey Towards a Just Transition’ by Kontact Films, paying close attention to the first few minutes of the film discussing the definition of ‘eco’ as it relates to ecosystem, ecology and economy. How We Live: A Journey Towards a Just Transition from Kontent Films on Vimeo. Ecosystem = the complex interrelationships of home. 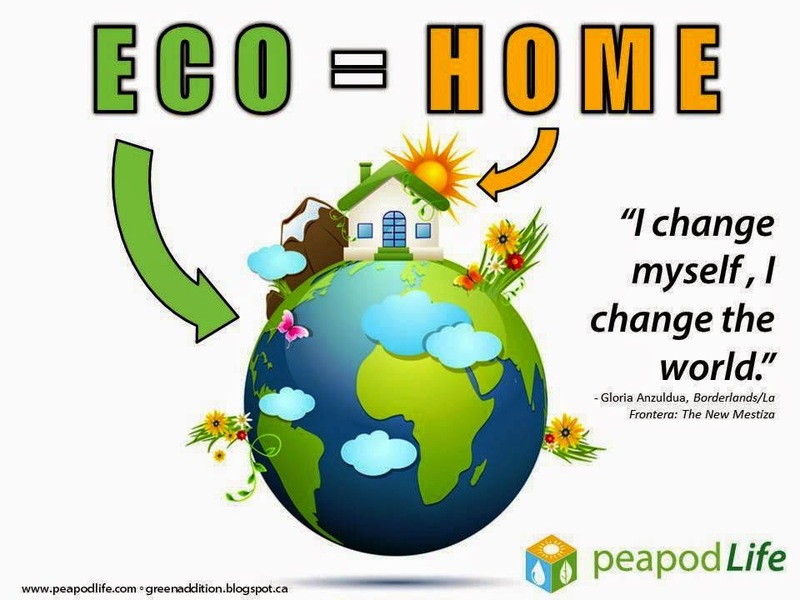 Ecology = the study & knowledge of home (self-knowledge, where ‘home’ is an individual). Economy = the management of home. Now, the film goes on to describe new business models, more democratic ownership, more local ownership, and even starts discussing human consciousness in terms of human behaviour, actions, interactions, “living better,” etc. But sadly, while the film “gets” that we cannot expect the banking system which got us into this mess to get us out of it, the film ignores its own axioms in prescribing more top-down structural thinking as being the source for a plausible solution. Nature doesn’t do much from a top-down level. The term ‘seed change’ comes from this very notion of incremental organic change. 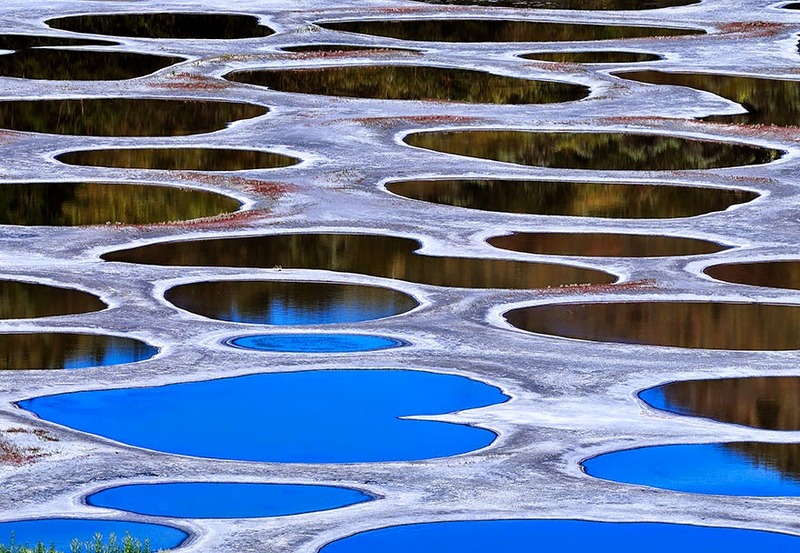 The planting of a seed which over generations produces not only one tree, but a forest of trees; the pebble dropped into the pond sending out ripples over time. Now consider all the so-called “green” movements and technologies related to energy conservation, recycling, etc. At the end of the day, these reduce our negative impact on the planet, but do they actually heal our relationship with the planet? What does it mean, to have a relationship with nature? How can we propose to create a mindset within ourselves—or a culture within our companies, let alone society—aligned with long term sustainability on the planet, if we have no idea what living in harmony and mutual symbiosis actually feels like? In other words, no practical, experiential knowledge? We cannot hope to better manage the resources, people and culture of economy unless we experience what it means to live in an ecosystem. Living in an ecosystem, gives us the experiential knowledge we need we truly comprehend the meaning and dynamism of harmony and mutual symbiosis—what we call ecology—and how it relates to our own self-knowledge. Building upon such a nucleus, such a seed, we can adapt and grow an economy based on harmony and mutual symbiosis… exactly what we experience day in and day out at home—in our homes, offices, schools, as a reflection of what we’re experiencing in our hearts and minds. In synthesis, we become a part of actual ecosystems…we gain authentic ecology through experience…and our economy cannot help but reflect everything we are and everything we know. It doesn’t take much, truly. 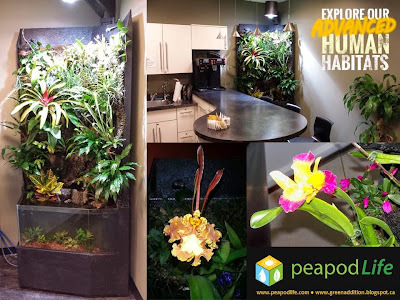 Even a small pPodLite Rainforest Ecosystem from PeapodLife is enough to begin transforming your home/office into a place of harmony and mutual symbiosis…begin giving you the experience of what being in alignment with nature feels like. Then the real magic happens. But you wouldn’t believe us if we told you! Like all believers in the magical powers of nature to inspire, transform and heal, it’s something you simply know in your heart, and/or have to experience first-hand for yourself. Is there a Solution to the Millennial Challenge? "There is this constant dynamism in the workforce that is very very hard to build the right [parts] of platform and environment for people to [accomplish] what they want." 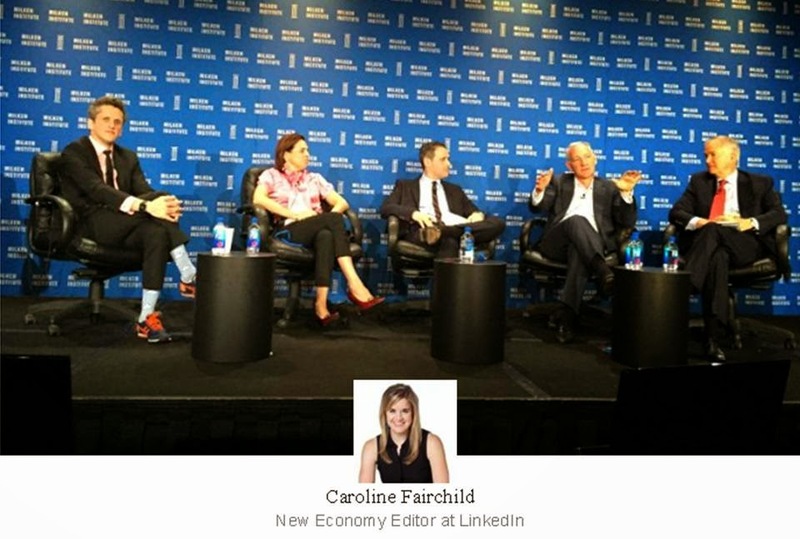 In a recent panel discussion at the Milken Institute Global Conference in Los Angeles, Jim Moffatt of Deloitte and Aaron Levie of Box agreed that attracting and retaining Millennial talent is a major issue for their respective organizations. “It is very apparent that managing and attracting this demographic of workforce is certainly interesting especially in Silicon Valley,” Levie said. He cited the ever increasing number of companies competing for top talent, and Millennials’ acclimatization to rapid development and succession. So Millennial turnover rates may be high in Silcon Valley, but could the same be true in Canada? To find out, we turned to Mike Snyders, Senior Partner at Future Focus, Inc.—specializing in human resources and human capital strategies in the Waterloo Region. Snyders acknowledged the challenges faced by high-tech companies in the Waterloo Region are similar to those faced by companies in Silicon Valley—and just about everywhere. Many of the unique workplace environments we see in high-tech companies are trying to cater to what millennials are looking for. The key for employers, Snyders said, is to find the right balance between what Millennials want and what the business needs. “Millennials are motivated differently. Their issue is work-life balance. Yes, you can retain people better by creating a work-life balance in the workplace, but can you stay productive? You need the structure in place. If it’s not managed right, it becomes a fun place, but not a workplace,” he said. Just how do hi-tech companies’ office environments differ from the typical workplace? 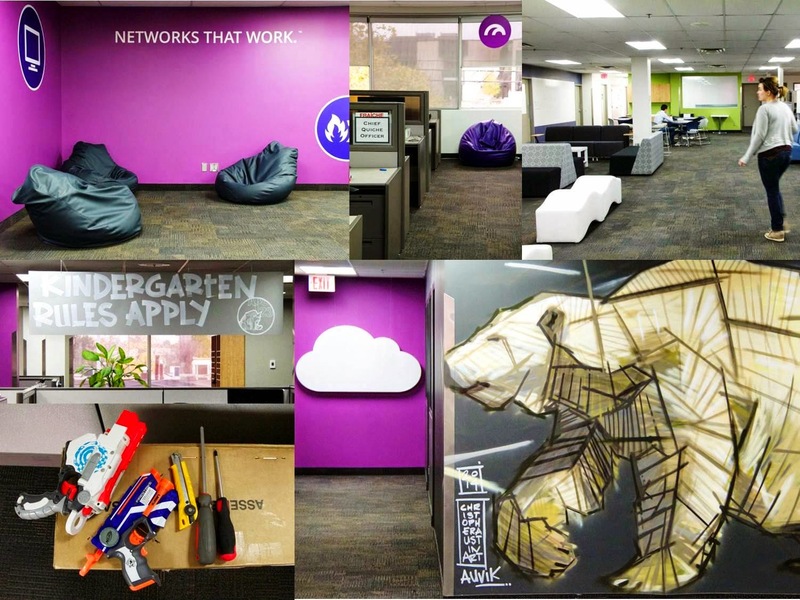 Consider Auvik’s renewal of the Waterloo building formerely known as Blackberry 5. As part of their painful restructuring, Blackberry sold the building to flamboyant Dragon’s Den judge and investor Michael Wekerle. Wekerle was one of the investors involved in Blackberry’s 1997 IPO. 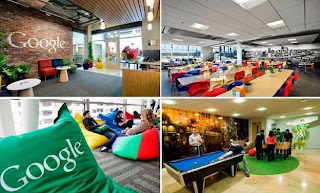 All hi-tech firms seem to have their own take on the ‘unique’ workspace. It’s a reflection of the culture of the firm, and this in many ways reflects Millennials’ attitudes toward personal style. Echoing the sentiments of Mike Snyders, there is a danger for these well-meaning companies that the pendulum may swing a little too far in the other direction, resulting in a very ‘fun’ place, where very little ‘work’ actually gets done. While many of the creature comforts Millennials may find enticing and attractive on the surface, one cannot deny that success is also a primary motivator for them. As well, high-performance and personal accomplishment cannot be overlooked as a motivating factor. So what is there which simultaneously comforts and stimulates? What phenomenon has a proven track record of MILLENIA (speaking of Millennials) of simultaneously relaxing and inspiring new ideas, approaches, innovations, and invigorating individuals to pursue their revolutionary new ideas? It is undeniable that nature has played a critical part in inspiring everything from Newton’s Law of gravity to Beethoven’s 5th symphony to Einstein’s theory of relativity. But one look need no further than one’s own experience. You know that feeling you experience in nature? You know that refreshed and recharged feeling. You know how it clears your mind and settle your nerves. There’s nothing else like it. 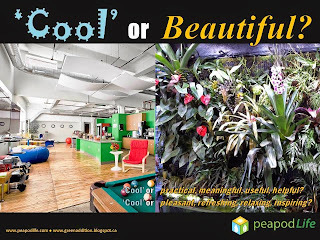 PeapodLife helps you have that refreshing feeling in your office environment. 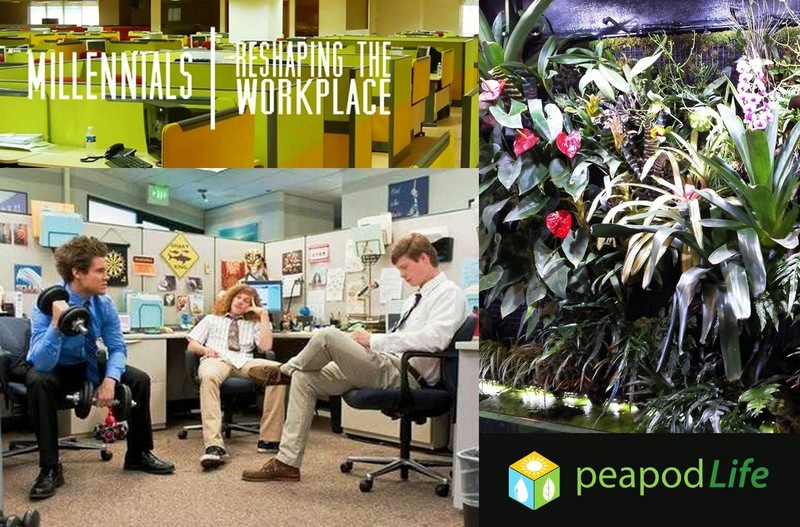 In terms of creating a ‘feel good work environment’ which is both comforting and stimulating; one which boost BOTH work-life balance and productivity, an high-order rainforest ecosystem from PeapodLife is beyond compare. It’s the feeling only nature can give you. Now imagine having that refreshing nature-feeling in your boardroom or in the staff cafeteria 24/7, 365 days a year. Imagine an ecosystem actively working all day, every day, boosting your Team’s happiness and efficiency to a whole new level. That’s certainly what Canada Life Insurance experienced. A few short weeks after installing an ecosystem in their boardroom, they began to notice profound improvements to meetings. Six months later, that boardroom was booked solid with a long waiting list. As for Panasonic, revenue increased after outside salespeople started holding their sales meetings inside their staff cafeteria ecosystem. But not even a video can do our rainforest environments justice. No technology can replace the feeling only nature can provide. Put the power of nature in motion for your business today, and watch the transformative capabilities of the rainforest create an environment that Millennials will want to live, work, grow, develop, innovate and succeed in. Connect with PeapodLife today for more information. PeapodLife revitalizes buildings by integrating nature and technology to put human beings and ecosystems together again in mutual symbiosis. Forget “green” buildings, we create Living Buildings. Living buildings are defined not only sustainable—energy and water use; producing clean air and organic food—but also holistic—serenity, productivity, health and wellness, satisfaction and vitality—for individuals, families, employees, organizations and communities. PeapodLife puts the foundation of life back into residential, commercial and institutional architecture. PeapodLife Building EcoSystems & Technology is the product of cooperation amongst strategic partners who share common values including the 3P's: People, Planet, Profits. Like every organism in any ecosystem, each Partner makes a significant contribution to the collective symbiosis of the whole. The ecosystem becomes a super-organism by virtue of the integration of each individual participant. The community of organisms naturally attracts additional participants and the ecosystem grows and thrives.